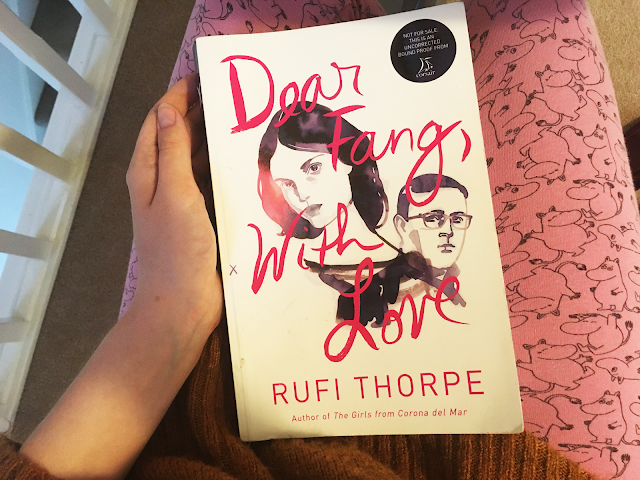 Today I have the enormous pleasure of introducing to you the author of a book I have not been able to stop talking/blogging/tweeting about: Rufi Thorpe. I can hardly believe I'm saying this! 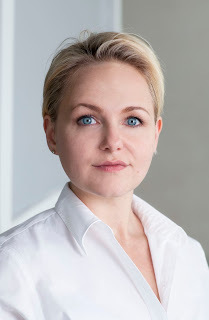 Rufi is the author of the spectacular Dear Fang, With Love as well as The Girls from Corona del Mar (which I am yet to read, but very excited to), and she was kind enough to let me ask her a few questions. In this interview we cover writing, Beyoncé (of course), mental health, films and television that influenced her, casting adaptations, as well as how she stays calm and grounded in this fast-paced world we live in. I really hope that you enjoy hearing what Rufi has to say; I for one love all of her answers to these questions. Magic & Musings: Dear Fang, With Love deals with some serious subject matter including mental health issues and estranged family members. Did you find these things particularly difficult to write about, and if so, what parts in particular? Rufi Thorpe: I think their difficulty is in fact what interests me. I like to write about problems I don’t have the answers to, and mental illness is one of those issues for me that continues to evolve and grow increasingly complex. The more I learn about bipolar the less certain I become that I know anything at all. M: The setting of Vilnius was one of my favourite aspects of Dear Fang. It felt soaked in history and rather mysterious; it certainly had its own character! What made you choose Lithuania as the setting for this book? R: I actually went to Vilnius as part of a writing program when I was drafting my first book, The Girls from Corona del Mar, and I fell in love with the place. Vilnius is a city with many conflicting, layered, and erased or suppressed identities, native Lithuanian, Polish, Russian, Jewish, and so when I decided I wanted to write about mental illness, which also asks questions about identity, it seemed like the juxtaposition could spur interesting questions. M: How did the character of Vera come into creation? What were your inspirations for her experiences and personality? R: Vera is one of those characters who just sort of sprang forth preformed. Some characters do, you hardly have to write them, they just write themselves. Which is to say, she is probably some deeply repressed aspect of self. Ha. 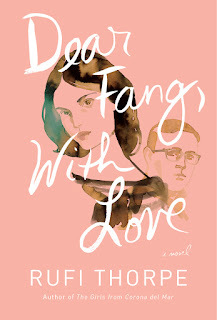 M: If there was a film adaptation of Dear Fang, who would you love to cast in your leading roles? R: Gosh, what a fun question. You know, I’m a big fan of Chloe Grace Moretz and I bet she could do a wonderfully manic Vera. For Lucas, I think looks-wise Seth Rogen is almost exactly what I was picturing and it would be interesting to see him in a more serious role. I don’t know who you would get to play Fang, but oh, it would be fun to sort through people! For Vera’s mother, Katya, I could kind of see Natalie Portman! M: We've all been teenagers and know how much of what we do and consume in our teenage years affects our adult lives. What books and films from your teenage years would you say shaped your life now the most? R: Well, I of course read books like my life depended on it. Specifically, when I was a teenager I was just discovering all these great contemporary women writers: Louise Erdrich, Barbara Kingsolver, Ann Patchett. I would sink into these novels with such pleasure, tearing through them like boxes of cookies or something, junkfood that I couldn’t get enough of. In terms of movies, I watched a lot of horror movies, and a lot of Harmony Korine. Kids and Gummo were both really influential. I have never really thought about it before, but I think those two movies hugely influenced me and traces of them can be seen in my work even now. A certain aesthetic of awkwardness, a certain buzzing of the weird. M: On Magic & Musings I love talking about female authors and their work. What female authors would you say have been influences for your writing, or are your favourites to read over and over again? R: Jane Smiley. I’m obsessed, honestly. Luckily she is prolific, so there is an insane amount to read, but I’m particularly in love with her two novellas packaged together as Ordinary Love & Good Will. I will remember scenes from those novellas for the rest of my life. M: It's not unusual to feel stressed and anxious these days. We live in a fast-paced world and mental health is something I like to speak openly about on my blog. Do you have a mantra that keeps you going during the difficult days? When do you feel at your happiest and most peaceful? R: The older I get the more sensitive I am to my own brain chemistry and these days I am able to take a sort of gardener’s approach, weeding out what is bad for me, able to point more directly towards things that are good for me. Walks are very good. Spending time with plants, spending time outside. If I have a mantra, it is that I choose this. I choose this life, this body, this self. I look at my children each morning, and I think: I choose these children to mother. I look at my husband and think: I choose this man. Somehow understanding how active a participant in my life I am helps me. In other words, there isn’t anyone else to drive the car. It’s you. So you can drive it, or you can pretend you aren’t, but its YOUR car, so it’s better to, you know, take the wheel. M: The internet is flooded with tips for people who want to become writers. Do you have any tips you could give to someone who wants to take up writing that you might not hear about elsewhere? R: On a craft level, there is so much to say, it would take many essays, a book, a lifetime of conversation and reading and forgetting and then remembering the same core truths about what a story is, what a character is, why we read and why we write. But for just one core insight, I would say: divest yourself of the belief that writing is magic, that there is a muse, that there is some metaphysical thing called talent that you worry you don’t have or hope that you might. Writing is a skill like anything else. If you spend many hours doing it, if you invest yourself in it, you will get good at it. Story telling is a very basic human ability. There is no muse. There is just you and the other monkeys around a fire. Don't be intimidated by it, it’s in you. M: This is a question I like to ask purely because of the variety of answers I get! I’m really interested in how people work and get things done. Do you have a particular place you write or find yourself the most productive? Are there a particular set of things that need to be in place for things to get done, like a milky cup of tea or a particular album of music you listen to? R: I mostly write on a laptop next to a sleeping child. What is most essential for my writing to go well is not any kind of ritual regarding the time or place of the actual act of writing. I could probably write on a napkin on a bus. What is most essential is that I have a few hours alone in my own head during the day. Solitude is the food of the subconscious. As long as I buy myself that time, to sort of stare at things, to think nothing, then I find when I sit down to write that I have plenty to say. M: One last question for a bit of fun! Can you recommend everyone reading a book you've enjoyed recently, as well as a film and an album or song? R: I really fell in love with The Door by Magda Szabo. It is one of the strangest, most powerful books I have ever read, about a woman and her housekeeper of all things. From the very first pages it is captivating and has a deep magic like a dream one had long ago that one is only just now remembering. As for a film, I hardly get to watch movies anymore until they come on Netflix and then we watch them after the kiddos are asleep, and more often we watch shows. I’m a huge Maria Bamford fan, so I’ve been loving her new Netfix series, Lady Dynamite. As for music, it’s been one solid Lemonade dance party all summer long. It’s just an incredible album. M: Is there anything else you would like to say before we finish? R: Not that I can think of! Thank you so much for taking the time to talk to me and put together such thoughtful questions! M: How can people find out more about you and your work? Thank you for taking part in this Q&A, Rufi! 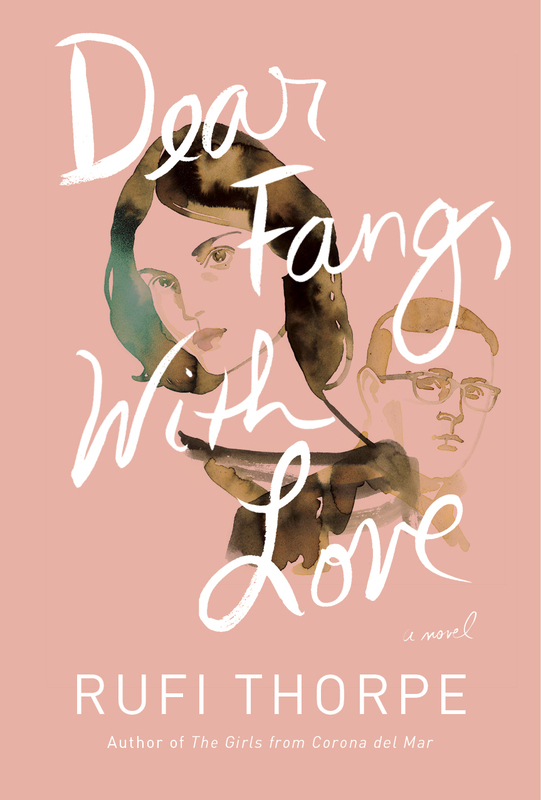 I urge everyone to go out and pick up a copy of Dear Fang, With Love. In case you missed it, my review of this beautiful book can be found here.